Looking Back…. 2018 and Looking Forward … 2019 !! Someday’s there was a Desire to Live More while Some created an Urge to End Life while there were Someday’s so full of Love, Life, Luck, Laughter while Some were spent in Doom, Distress, Despair, Death-like !! It makes me ponder that – Birth was not our Choice, Death is also not our Choice, But the way we Live our Life is Absolutely our Choice…So why not Enjoy Life Every Day as it is and make each day memorable. I have learned a lot in this year; I learned that things don’t always turn out the way you have planned, or the way you think they should.. there are things that go wrong but always get fixed or get put back together the way they were before… However, some broken things stay broken, and you can get through bad times but still keep looking for better ones; as long as you have people who LOVE you.. I remember a poem I learnt in school written by W Wordsworth “No time to stand beneath the boughs and stare as long as sheep and cows”….so true !! Night will change into day without any effort on your part. But that’s just about all the help you will get from Mother Nature. To succeed in Life, your physical and mental efforts are needed; so start now…. In olden days, people maintained diaries and used to get Mad when someone read them… Now, they put everything Online and get Mad when people don’t read or like it.. How Times have changed over the years – the positive and negative impact of social media – loss of privacy…. It is the world of Presentations now – it all depends on how well you can present to the world !! I started to pen my thoughts in my own personal blog “ThoughtsofSho” in 2017 – it has helped me a lot to unwind, de-stress, to re-discover myself, find peace !! No one has that perfect life which begins with ‘Once upon a time’ and ends with ‘Happily ever after’… Life begins with ‘Welcome to the struggle’ and ends with ‘You are lucky to have survived the journey’… Each day is a gift from God. If some days it seems like you got an empty box, God may be giving you your choice as to how you fill it. Life has a become a routine : A slight break-down will make our life a standstill… Mine is a small family – me, my husband and a daughter – My day begins at 4:30am – preparing breakfast, lunch, get ready to work, in between getting my family ready too; I leave for my work at 6:30am; At office I am from 8am to 6pm; then return journey home with thoughts of whole day at office; plan the evening ahead; some family time (quantity is not possible but atleast quality time); then dinner; then preparations for the next day and finally hit the bed may be around 10:30-11:00pm; The circle must go on without any change ; Weekends give little leisure and more family time but also more of cleaning and other miscellaneous household activities not done during the week… You also need to catch up friends’ birthdays / weddings; children’s school activities; close family events – good or bad, happy or sad ; health issues and above all update your social status on social media !! I would like to close this way – Yesterday is Past. Today is a fresh new start, a clean slate, the beginning of a new life… .Be Positive Always!! We are really plausible with this “worry” element in our life. Especially us women we love to keep it in our life to certain extent. Days when we don’t worry over our family or other materialistic objects, we try finding out something in our own domain to worry about. 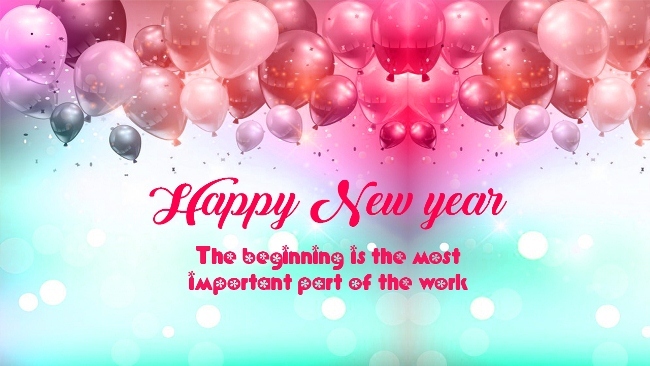 Happy new year & may this fresh start gives you much more strength to live your passion ! You brought out the nitty gritty of life so well. Thanks for getting me reminded of the mundane nature of work and life and yet look forward to the love and laughter present in our world. Wishing you a very happy and fun filled new year ! !